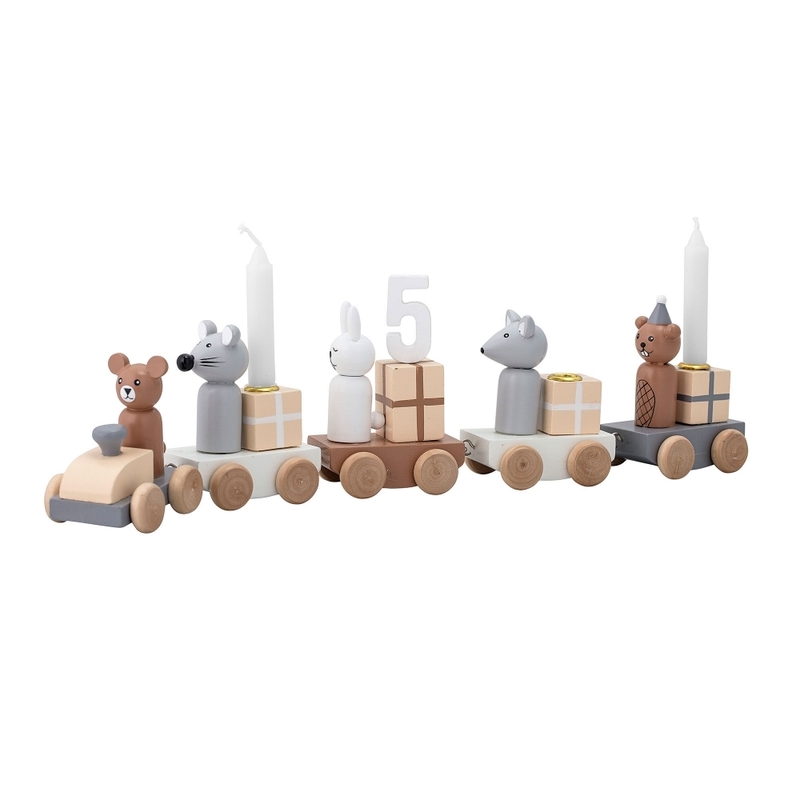 Celebrate your child's Birthday with a beautiful Birthday Cake Train Ornament from Bloomingville. The five animal characters are in the party mood, with the bear driving, the other four each have a carriage and have brought gifts. The MDF train is brightly coloured, with each carriage being connected with a hook and loop system, you can change the order they are in. Three carriages have space for a candle while the fourth has a slot for a number in it from 0 - 9. So this ornament can be used year after year to celebrate the special numbers and then kept as a thoughtful memento.